I'm having a really difficult time believing that March is essentially over. It feels like February just ended. Now, I'm not really complaining - warmer weather should be coming, baseball season's starting, and it seems like some work-related things are picking up in the coming months - but it seriously freaks me out how quickly times passes as you get older. Way, way too fast. 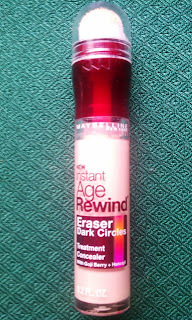 Last week in my post about the Maybelline Instant Age Rewind Eraser Treatment Concealer in Brightener, I mentioned that I bought the concealer when Maybelline was on BOGO 1/2 off at CVS. To take advantage of the deal, I also purchased the Instant Age Rewind Eraser Treatment Makeup. It was kind of on a lark. I didn't expect much from the foundation, but I'd seen quite a few favorable reviews of the product so I figured it was worth a try. And it definitely is. Particularly if you have dry skin. The Balm Blushes definitely score points for super cute packaging! Okay, I feel I should warn you that it looks like most of this week's posts are going to be about blushes. I'm seriously obsessed these days. 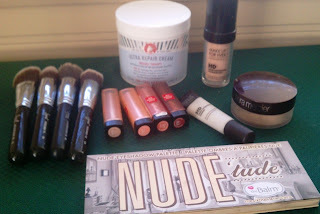 In a previous post where I sang the praises of the Balm (I've probably done that in a few posts, actually. LOVE this brand to death), I mentioned that while I've tried a ton of their eye shadows, I'd never gotten around to sampling their blushes. Of course that was a situation that I just had to rectify. 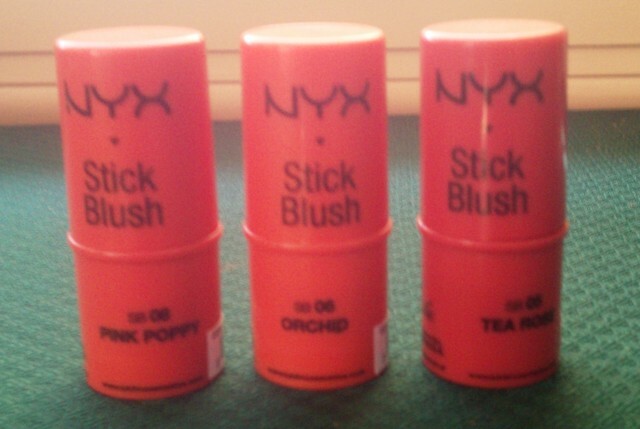 I've always been a fan of NYX’s cream blushes, so when I heard they’d come out with stick blushes, I was intrigued. While their cream blushes in the compact are great products, I personally find a blush stick easier and more convenient to apply. I love my NYC Blushable Crème Sticks and Josie Maran Argan Color Sticks, for example, so I figured it couldn't hurt to add a few more to my collection. 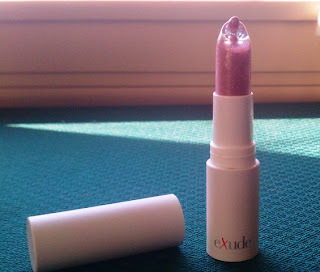 I tried to pick up one of the NYX Stick Blushes at Ulta, but the shade I wanted most, Orchid, was always out of stock. So when I saw that HauteLook was having a NYX event a few weeks back and they were selling a set of three of the blush sticks, including Orchid, Pink Poppy, and Tea Rose, I had to buy them. The set was $11, and I think the individual sticks are about $5-6 at Ulta so it was a good deal. 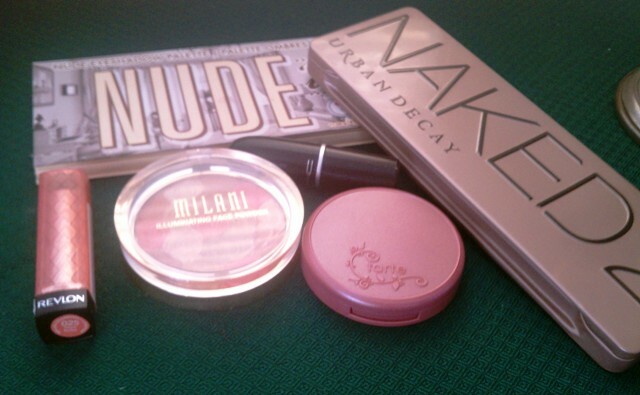 I started wearing Bare Escentuals in college. At the time, I had extremely oily, acne-prone skin and after watching a presentation on QVC one day, I was totally intrigued by the idea of a mineral powder foundation. Minerals weren’t all over the market like they are today, so it seemed like a pretty novel concept. It took me a couple of days, but I finally picked up the phone and ordered a kit. Two actually – one with the foundation and mineral veil, and one with a couple of loose eye shadows and a blush (which seemed really crazy to me then!). Over the past couple of months, I’ve become a total blush fiend. Being so fair, blush has always been a necessity for me since I look pasty and washed out without it, but it ranked near the bottom of wishlist items when I headed to Sephora. I mean, if I had a gift card, chances were good I was walking out with a foundation or a couple of eye shadows or lipsticks, not a blush. Lately, though, I’m buying nothing but blush. It’s kind of crazy. I blame the Tarte Amazonian Clay Blushes for it really – they’re so long-wearing and highly pigmented that they’ve really made me appreciate what a good blush can do. 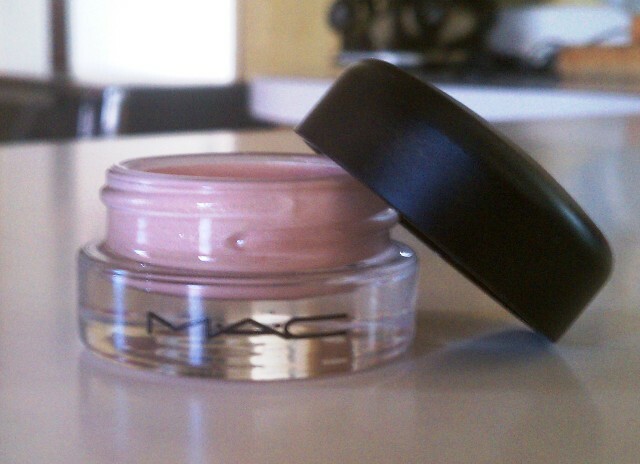 One of the very first products that I ever purchased from MAC was the Bare Study Paint Pot. 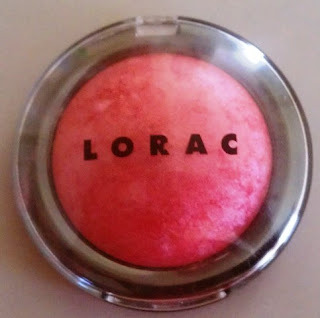 I didn’t know much about MAC as a brand back then, but the instant that I swatched a little of Bare Study on the back of my hand, I knew that it was going to go home with me. It may not look too special in the pot – a shimmery champagne color that’s like a million other shades – but there’s just something about the way it looks on the skin – almost like there’s nothing there until the light catches it and then bam! A few weeks back, I wrote about my favorite concealers and included Maybelline’s Instant Age Rewind Dark Circle Treatment Concealer in Fair as one of the standouts in my collection. Its lightweight, liquid-y formula doesn’t crease under the eye but still manages to cover well. And it’s one of those great products that you don’t have to think too much about when you’re applying it because it blends so easily and smoothly. You’re getting ready in the morning and take a look at your makeup collection, waiting for inspiration to strike. 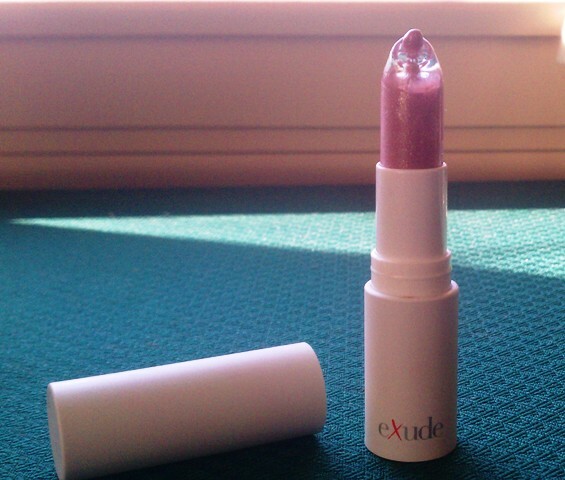 There’s a rainbow of shadow colors in your arsenal, an endless array of pinks, peaches and plums making up your blush choices, and countless reds, plums, peachy-pinks, berries and nudes that fill your lip product drawer , making it really tough to choose just a few colors out of all the gorgeous shades that sit at your fingertips. 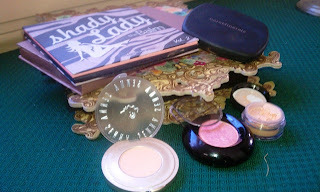 So you sit and try to decide which colors or products you should wear today…. Congratulations to katehaven, the winner of the Tarte Foundation & Concealer and Sigma Flat Top Kabuki brush! I tried to send a message through blogger and Google's Friend Connect, but it won't seem to go through, so katehaven, please email me with your contact information and I'll send you the goodies ASAP. Turn out for the giveaway was pretty dismal - I guess there really aren't that many fair skinned folks in the world. But don't worry - the next giveaway will be something virtually anyone can use. And it's a great item for spring/summer. Look out for the giveaway in about a month or so. 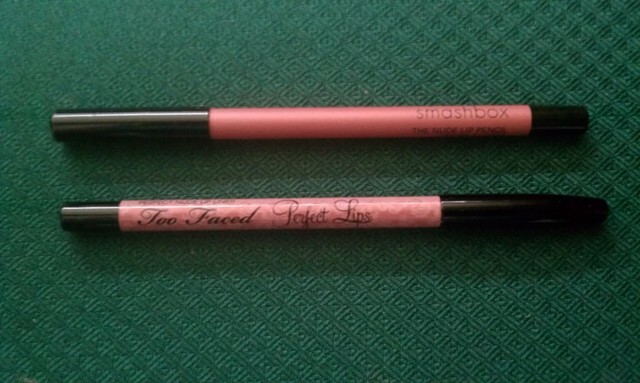 I’m not really a lip liner girl. When I wear tricky lipstick shades like red, I always whip one out. But on a day to day basis, I don’t usually take the time for one. Most of the lipsticks or glosses that I wear are light to mid-tone shades that don’t really need any help, and because my skin is so fair, my lips are naturally pretty defined. However, if I wear really light lip shades (like my beloved Innocence Beware from MAC), my lips need a little definition to keep me from looking washed out. Instead of buying a bunch of different lip liners to match every shade of lipstick and gloss in my collection, though, I feel like a good liner that’s just a bit darker than my natural lip color is all I really need. I’ve posted before about how tough it can be to find a foundation that’s light enough up for my extraordinarily fair skin – and how happy I was to find a shade that works so well with my skin tone in Tarte’s Amazonian Clay Foundation in Fair. The only issue preventing the Amazonian Clay Foundation from reaching holy grail status for me is the formula – it’s a lightweight foundation that still offers full coverage, but it can really emphasize dry patches and flakes. 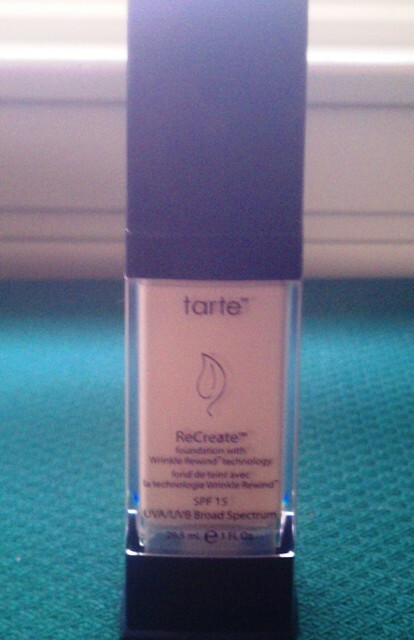 But because the color match is so good, I’ve been wanting to try Tarte’s other liquid foundation, ReCreate, in the lightest shade, Porcelain 00, to see if maybe the formula was a better fit for my skin. Because I have blue eyes, I’m always told that I should give orange eye shadows a try. That’s because blue and orange are opposite one another on the color wheel, so they’re contrasting colors that help one another pop. However, as sound as that reasoning may be, I was never willing to give shadows in the orange range a try simply because I don’t like the color much. I would wear peach shadows on occasion, but that was as far as I’d go. Last week, I wrote about a few products that I wouldn’t ever want to be without. Today I thought I’d mention a few that I wouldn’t have any trouble going without. You know, stuff I’m just not that crazy about. Now, don’t get me wrong - I don’t hate any of these products or even regret trying them (I think I’ll do products I regret purchasing in the future, so stay tuned). I used (or am using) each of these products up or until they were no longer usable, so they certainly aren’t so terrible that I’d tell someone never to try them. They just didn’t quite live up to the hype or work well enough for repurchase them. As always with this type of thing, your mileage may vary. Starting today, NYX is on sale at HauteLook. 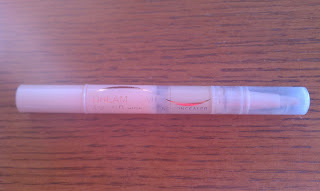 There are quite a few good deals to be had - I'm thinking about getting the set of 3 cream blush sticks. I've wanted to try them for a while, but every time I check Ulta, the shade I really want, Orchid, is out of stock. This set includes Orchid, Pink Poppy, and Tea Rose for $11, which seems like a pretty good price. If you're not familiar with HauteLook, you can read about it here. Because my skin can get dry and flaky, I sometimes have a problem with my makeup looking cakey. In particular, using powder products can be tricky - but the only way that I can keep my foundation on all day or get the coverage I need is to use a light layer of the stuff. 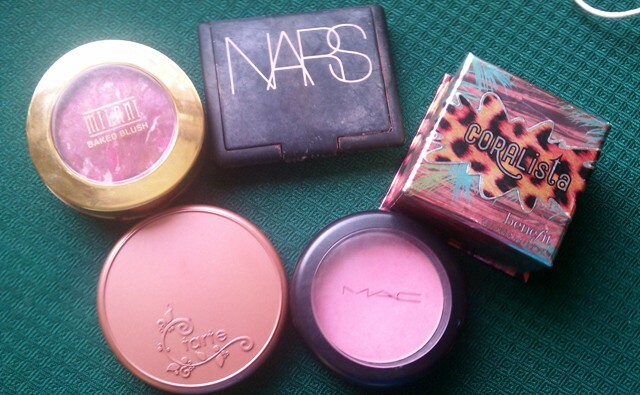 To eliminate any powdery or cakey look, I usually finish off my look with a couple of spritzs of MAC’s Fix+. Even if you don’t have dry skin, I think it’s a good idea to keep a bottle around because the product is just so versatile. The fact that it keeps me from looking like a powdery mess is reason enough to always have a bottle on hand. It works well. I don’t really have any complaints about Fix+ (and I love its scent too!). That might seem like the obvious way to approach the topic, but sometimes it can be counter-intuitive. For example, my favorite color is blue. I love blue nail polishes – light blue, dark navy, glittery royal blue, turquoise, all of them. But if you ask me my favorite nail polish, it wouldn’t be a blue shade. I wouldn’t want to have blue nails for the rest of my life. Update May 6, 2012: Since I never heard from the winner of this contest, I am holding it again. Please see the updated post here. Today is kind of a special day - this blog is just about a month old and this is my 30th post. Not exactly prolific yet, but it’s kind of a milestone. In honor of a month of blogging and as a thank you to everyone that’s been kind enough to read along, leave a comment, or send me an email, I thought it would be a good time for my first giveaway. It would be impossible to give these goodies up! 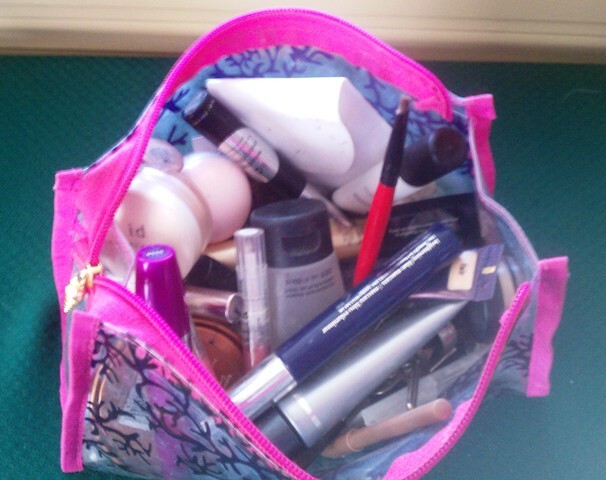 I'm a serious beauty junkie, so there are tons of products that I love. However, there are a select few that stand out as being so good that I don't have anything else in my collection that performs the same way or gives me the same results. 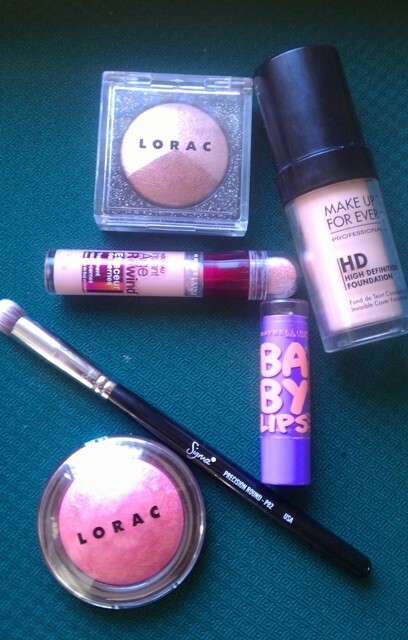 These are the products I wouldn't want to live without. I feel like all I do these days is post about sales, but some of these deals are just too good to pass up. 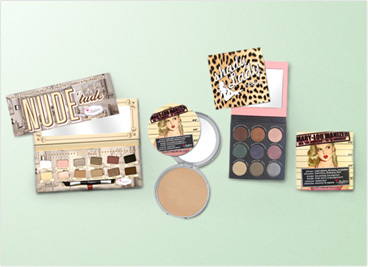 If you've been wanting some goodies from Urban Decay, now's the perfect time to shop. They're having a Friends & Family sale, so you can get 20% off your purchase. The code is FFSPRING12. The code is good March 6 through 10. It looks like the Naked2 Palette is in stock right now, so if you've been dying to try it (or the original), you can get a pretty good deal. I tried Tarte for the first time about ten years ago when their best-known product was their unique gel cheek stain. I had several of the stains, which they still make, and liked them quite a bit, though I guess they didn’t make a huge impression on me since I was really tempted to try any other items from the line. Fast forward several years when a friend from work was cleaning out her makeup collection and gifted me with a Tarte eye shadow palette. The colors were gorgeous, and the shadows were super smooth and easy to blend. That palette definitely got me excited about the brand, and I immediately began stalking their website and trying to figure out what items I’d try next. 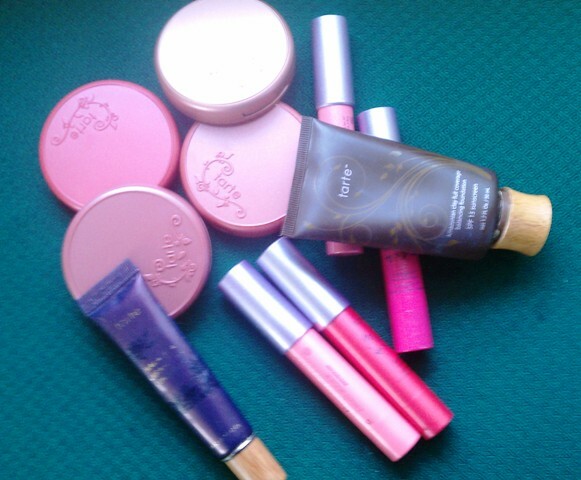 A couple dozen purchases and several fabulous TSV kits from QVC later, and I am a full-blown Tarte addict. I love that they put an emphasis on natural ingredients, don’t test on animals, and keep parabens, phthalates and other nasty chemicals out of their products. 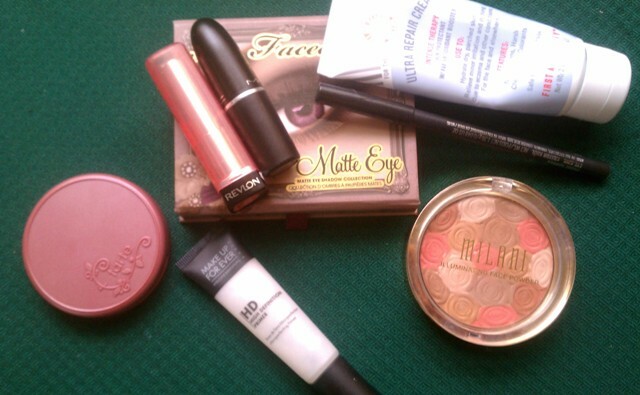 But mostly, I adore the way that their makeup performs and the adorable packaging that it comes in. I always like to do a post about some of my favorite things on Fridays, but instead of focusing on a specific type of product, I decided to join the monthly favorites bandwagon and share the products that I’vve loved throughout the month of February. I love these types of blog posts or videos because it’s always so interesting to see what products are getting love from fellow beauty junkies. Too Faced In Your Dreams Palette - $20! Too Faced is having a sale on some of their classic products with savings of up to 85% off. You can access the sale here on their website. Sales prices are good until March 11. I am seriously tempted to get the Smoky Eye Collection ($20 instead of the regular $35) or one of their brightening blushes ($9 instead of $20!) - I've had my eye on Papa Don't Peach for a while. But I'm going to try to be good and restrain myself. You can also get a deal on the In Your Dream Palette from this year's holiday collection - 9 eye shadows, 3 blushes and 3 lip colors for $20. There are plenty of other items on sale too, so there should be something for everyone. If you pick anything up, leave a comment below and let me know what goodies you scored.